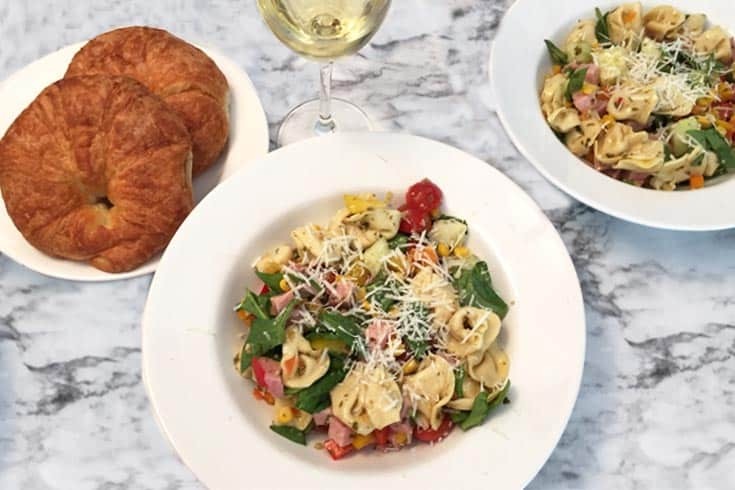 Healthy salads are perfect for summer & our fresh garden tortellini salad is a deliciously easy dinner option. 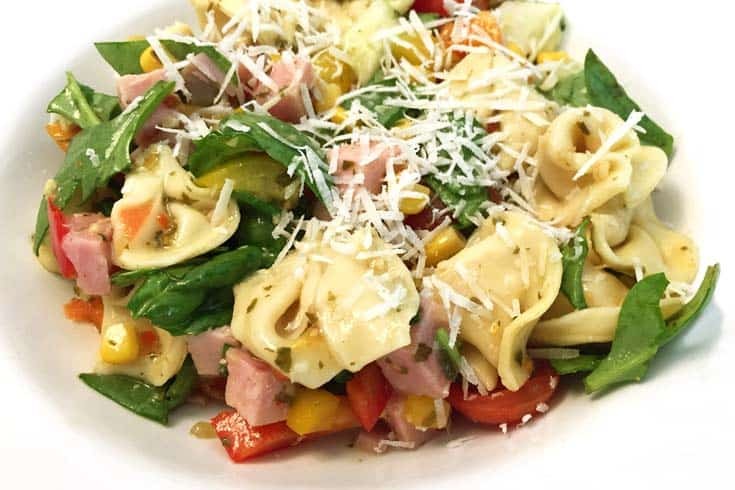 A combination of cheese tortellini, fresh produce like spinach, tomatoes and cucumbers and the addition of lean ham round out this light salad. 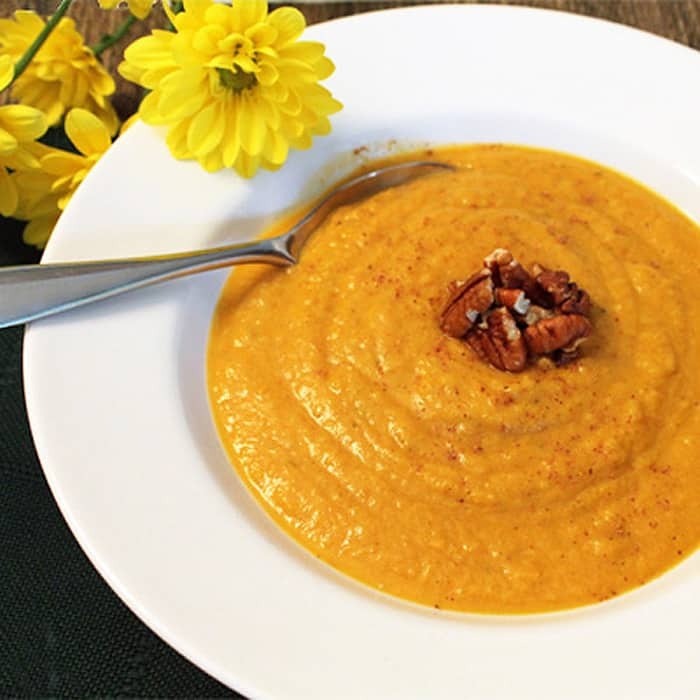 Use your favorite salad dressing or our version of an Italian dressing with a boost of basil. 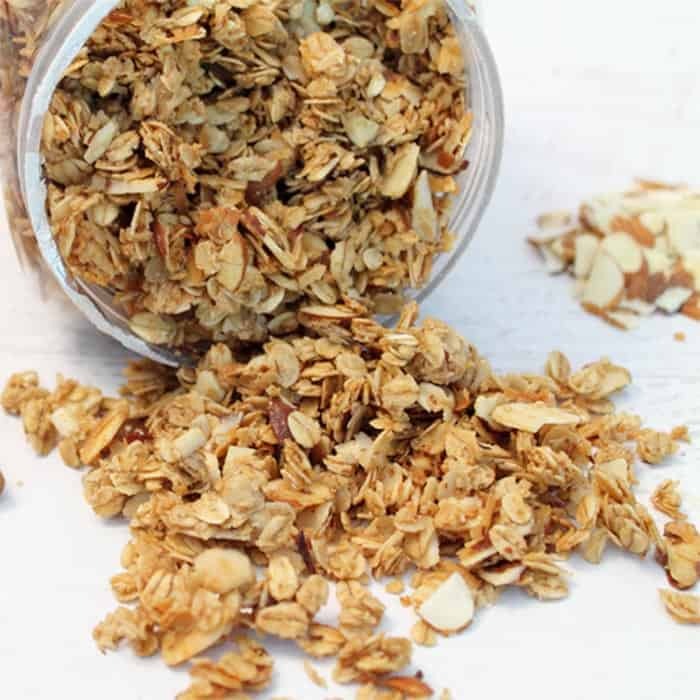 Summer in Florida is pretty darn hot and that calls for plenty of meals that are both light and cooling. 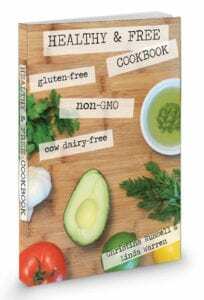 I stack my summer menu with plenty of salads, both garden and meat or seafood salads, grilled fish and chicken as well as sheet pan, quick one skillet dinners and stir-frys. 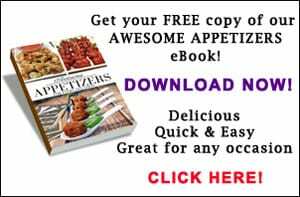 Of course, no matter what season it is, our family has their favorites, like Grilled Fish Tacos, Chicken Apple Sausage Sheet Pan Dinner and Mandarin Chicken Salad but I’m always up to trying something new. In fact, because I am always experimenting with new dishes, they have to remind me (well, I guess sometimes it becomes begging) to make their favorites again. But I digress, on to today’s salad. So tell me, do you ever get to the point when your refrigerator is begging to be cleaned out? I sometimes forget those things in the back (to the point where you don’t even know what it was to begin with) and I have to remind myself to check out what is hanging around and see what I can make with it. Today’s salad was one of those “yep, I think it’s time to clean out the refrigerator” meals and, since I had so much fresh produce, I decided to make a salad. 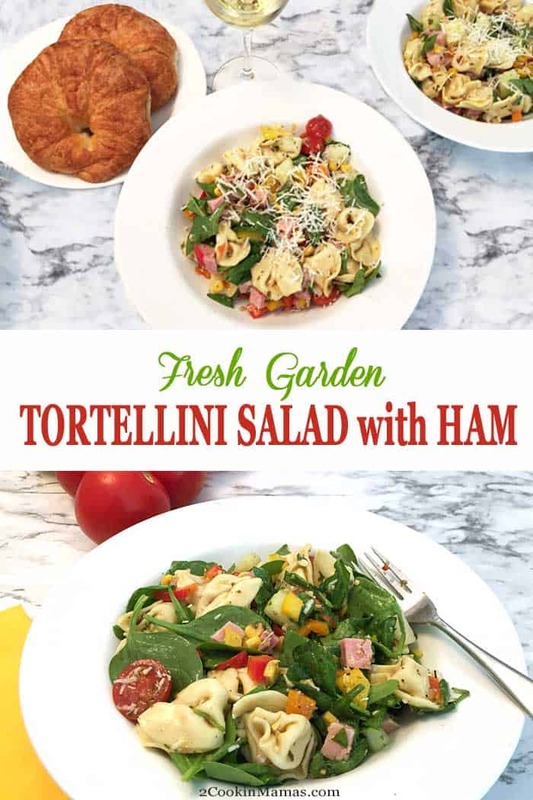 Light, fresh & healthy, this Garden Tortellini Salad is perfect for summer! 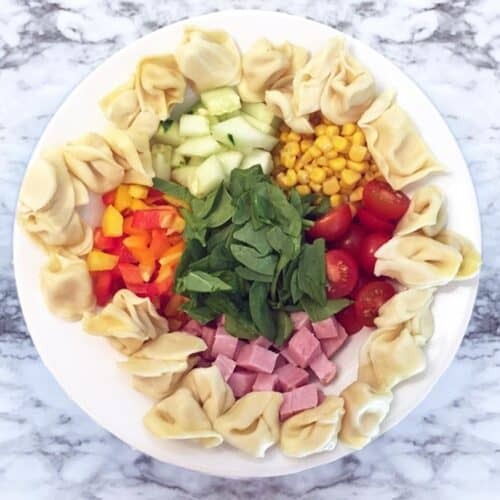 It’s a healthy dish, healthier if you limit the amount of pasta you add, and has plenty of good antioxidants and vitamins from the spinach, tomatoes, cucumbers and peppers and lower fat proteins from the ham and eggs. 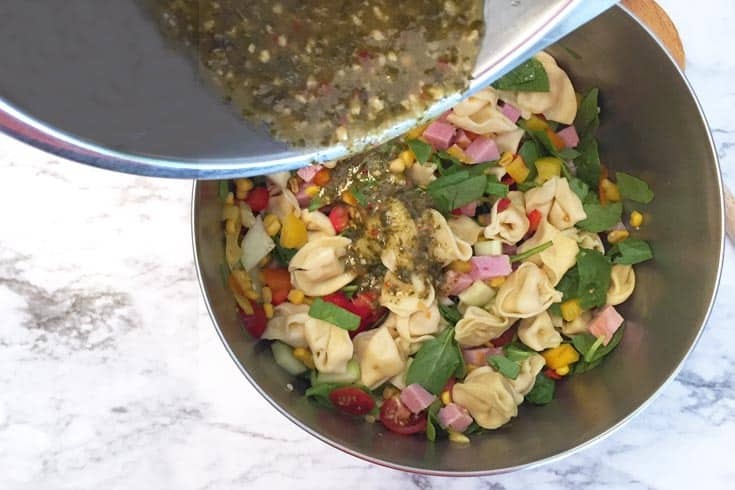 I kept the dressing easy and light by using a pre-made Italian dressing and upped the flavor with the addition of basil pesto. 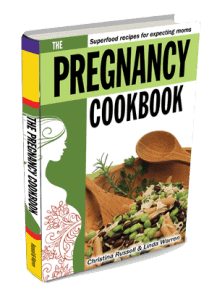 You can also use your own favorite dressing or even just a squeeze of lemon juice with oil & vinegar. 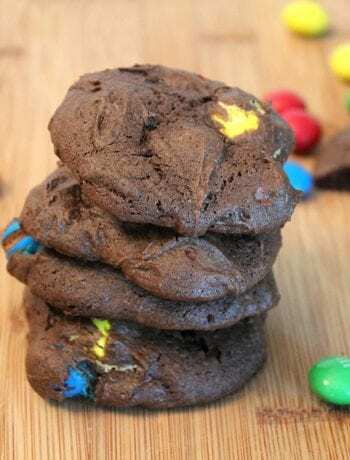 It turned out both delicious and filling but light enough that our metabolism didn’t go into overdrive and overheat us. See, perfect for summer! I served mine with some croissants, which I had bought for my French Toast Bake, and a light chardonnay. Keep cool and hope you enjoy! An easy, healthy salad for summer. 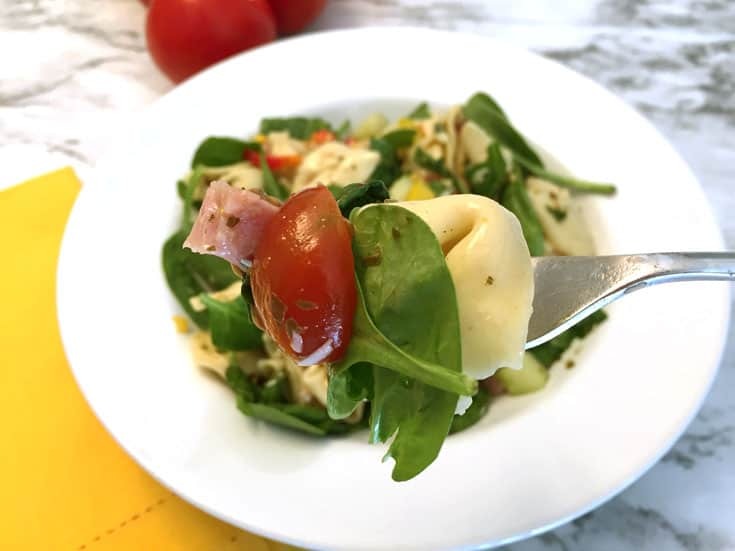 Combine cheese tortellini, fresh produce like spinach, tomatoes, cucumbers and lean ham for a light lunch or dinner option. 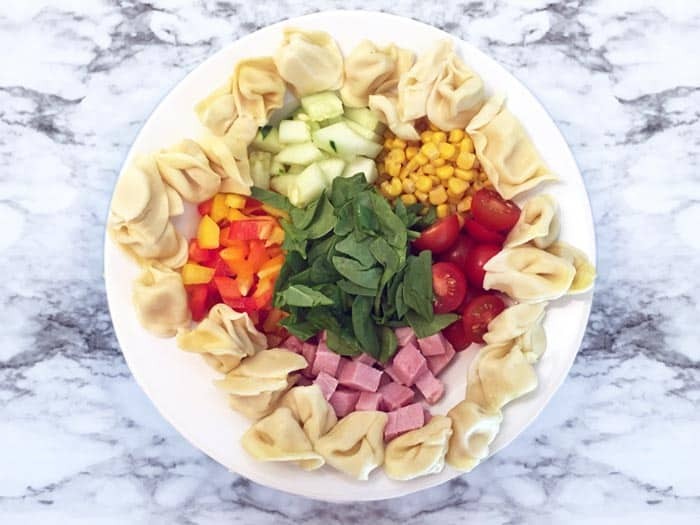 Prepare all salad ingredients and place in large bowl. Whisk salad dressing ingredients together and pour over salad ingredients.